Uttarakhand Polytechnic JEEP Admit Card will release by the Uttarakhand Board of Technical Education Roorkee (UBTER). The Uttarakhand board will conduct the Joint Engineering Entrance Polytechnic (JEEP) Entrance Exam in the state level. The candidates who will apply for the exam only can download the admit card or hall ticket. For various organizations examinations Admit Cards are available on our website. The Uttarakhand Polytechnic JEEP Admit Card 2018 details are provided below. The Uttarakhand Polytechnic JEEP Admit Card will be available in the 3rd week of April 2018. The Uttarakhand Board of Technical Education Roorkee will upload the admit card on their website. The specific dates for the exam and admit card release will be update soon through our website Sarkari Recruitment. In this page we have given the direct download link of admit card. We will activate the link when the UBTER publish the admit card. The Uttarakhand Polytechnic Entrance Exam will be conducted for the admission process in the Polytechnic Diploma courses in the of Engineering, Pharmacy, Fashion Designing etc offered by the various Government and Privates colleges of Uttarakhand State. The exam centers for the UBTER JEEP Entrance Exam Nainital, Almora, Dehradun, Roorkee, Kashipur, Lohaghat, Srinagar (Garhwal), Uttarkashi. Visit the UBTER website for more updates about the JEEP Entrance Exam. For the UBTER JEEP Entrance Exam the application process will starts in 3rd week of January 2018 and the application process will close on Last week of March 2018. The exam will be held in 1st week of May 2018. Every year huge number of candidates have appeared in the JEEP Entrance Exam. For downloading the Uttarakhand Polytechnic JEEP Hall Ticket must need the registration details like registration number and date of birth. After the completion of downloading the admit card candidates must check the information in it. If find any corrections in the admit card or hall ticket then immediately inform the examination board and the rectify the mistakes otherwise you will pay in the examination center for the errors. Attend the examination center before 20 minutes to the exam and view the instructions behind the hall ticket while starting the exam. Admit card or hall ticket plays an important role in every examination process because it carries the information about the candidate and exam like applicant name, applicant roll number, applicant category etc. The admit card will help for the organization to find out the duplicate candidates in the examination hall. With the identity like college id, photograph etc including with the admit card or call letter for the security reason at the examination center. The additional information about the UBTER JEEP Entrance Exam like details in admit card, needed documents for the exam, steps to download the admit card are given below in this article. Go to the official website of Uttarakhand Board of Technical Education Roorkee i.e., www.ubter.in. Search for the Uttarakhand Polytechnic JEEP Admit Card for the entrance exam. Click on the Uttarakhand Polytechnic JEEP Admit Card download link. Fill the given information like registration number and date of birth. Uttarakhand Polytechnic JEEP Admit Card will appear on the screen. 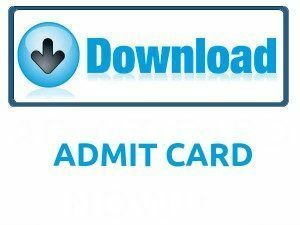 Download the Uttarakhand Polytechnic JEEP Admit Card. Submit Uttarakhand Polytechnic JEEP Admit Card at the examination center with any identity. We have specified the details about the Uttarakhand Polytechnic JEEP Admit Card in this page. Hope this article will use for the applicable candidates. If aspirants have any queries about this article can leave a comment through below comment box. For more updates on recruitment, syllabus, previous papers etc follow our website Sarkari Recruitment. Contenders can see the examination result in सरकारी रिजल्ट. Thank you.